I needed a new washing machine in a hurry. Never had a candy before but extremely pleased with the product. 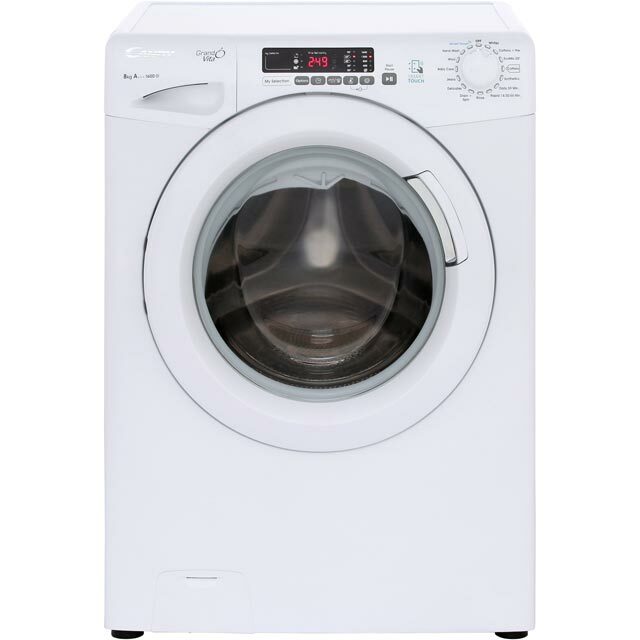 It washes well and I have several new programmes I can use which I have never had on a machine before. Even the instructions for use seems fairly easy. Done a few washes and it is good but still trying to work out the programmes and the clothes don’t come out as well spinned as my old one. Candy washing machine - Great! Excellent Candy Washing Machine. Loving the 8kg large drum and also the additional option of a 1600 spin! Daily 59 minutes cycle is my favourite. Great washing machine and very easy to use. Big drum, wide door and even look stylish. However, it's advertised as being compatible with your smart phone so you can start washes and set up programmes etc however, you can only actually do that from an Android, not iPhone which I think is a little misleading.